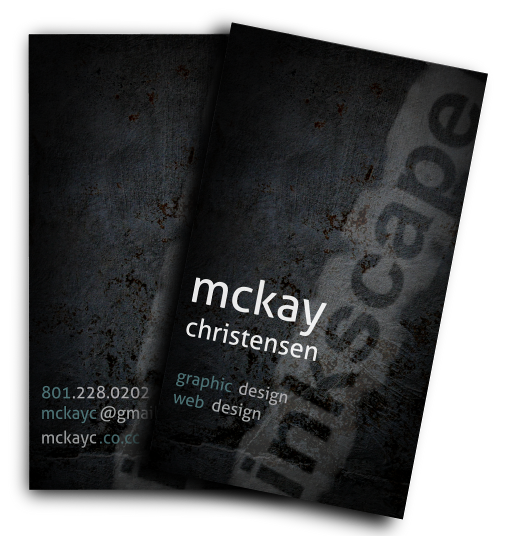 If you are in the design business, a business card is a great way to show off your level of professionalism. No one will take you seriously if you claim to be a designer but use an inkjet printer with some business card template cutouts. I will try to make this look as legit as possible. This tutorial will be for a simple design that looks like it was created by a designer. The idea for this comes from a great photoshop tutorial. 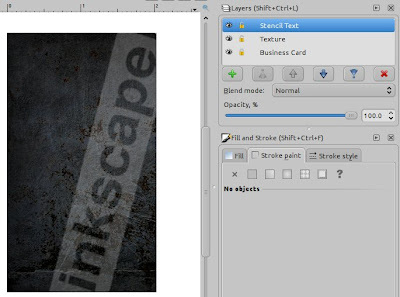 To start, we will change the document properties in Inkscape so the entire document is same size as the business card. Standard size is 3.5" long and 2" high. We will make it portrait. Go ahead and drop the image into Inkscape. The image you just downloaded is going to be much bigger than the business card so we will want to shrink it down. Also; the size is not going to be the same as what we want so what we will do is create a white rectangle the same size as the document settings and place the rectangle over the image in an area you think looks nice. Once you have the rectangle where you want it, select both the rectangle and the image (hold shift while selecting) then click Object>Clip>Set. Now we have the background base for our business card. The concrete background is nice, but a bit too light. Let's darken it a bit. 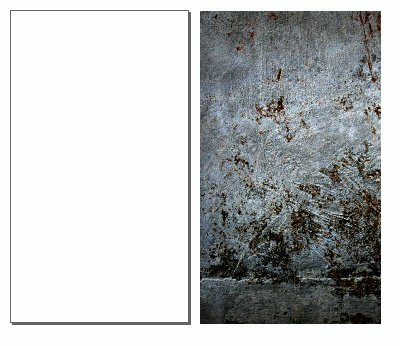 Create a black rectangle the same size as the background; place in directly underneath the concrete texture, and bring the concrete texture opacity down to about 30%. I created layers for the backgrounds, but you don't have to. Sweet. Now we have a decent background. That is fine how it is; we want to keep the card simple, but we will add a design element. 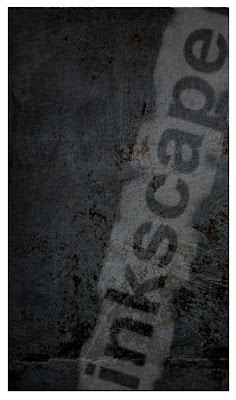 Staying with the idea of concrete, we will create a spray paint stencil design. For this, think of a single word you want your card to convey. It could be your name, what you do, an emotion etc... 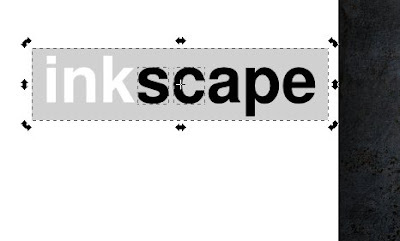 I have kind of been having a love affair with Inkscape recently, so I will use that for my word. Go ahead and create a new layer. Call it stencil text, and write your word on there somewhere. Create a rectangle to go under your text. UPDATE: Thanks for the tip from ofaurax. After you have converted to path and ungrouped; simply create a union (CTRL+K) and that will allow you to cut the letters out in one step. With that completed, go ahead and change it to white and place it creatively on the card. 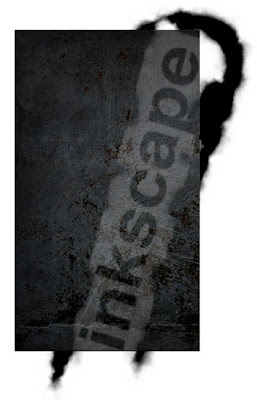 Once the stencil text has been added, go ahead and lower the opacity (I did mine to 20 or 30%). I also blurred mine just slightly. Now let's add a vignette. 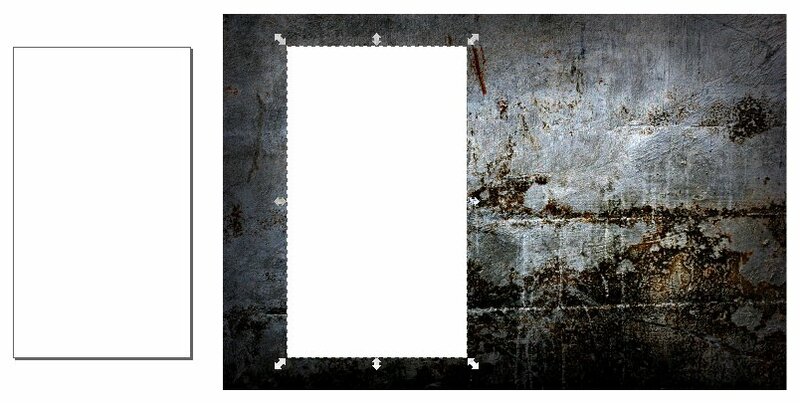 Create a new layer; call it vignette and draw another rectangle. Do a radial gradient for the rectangle (Press the icon to edit the objects Color, Gradient, Stroke etc. Then on the fill tab, press the radial gradient icon) and have the middle be completely transparent and the outside edges dark. Have it placed directly over everything else. Now create a new layer and call it "Text." Here we will add whatever works. Do the back and you are done! This was awsome. Thanks a bunch. Thanks for the printing tips Dan! That is good to know. This tuturial appears to be designed for people who can already use Inkscape. I'm sure it's very good, but I can't follow it - "Create a box to go under your text." How? Where do I find 'create' and 'box'? Thanks Serenity for the comment. I changed "box" to say "rectangle." The word box is misleading. You use the rectangle tool to make a rectangle. I will keep your suggestion in mind when I do more tutorials though; I will focus more on being a bit more descriptive with the steps. Spoken like a TRUE Professional! 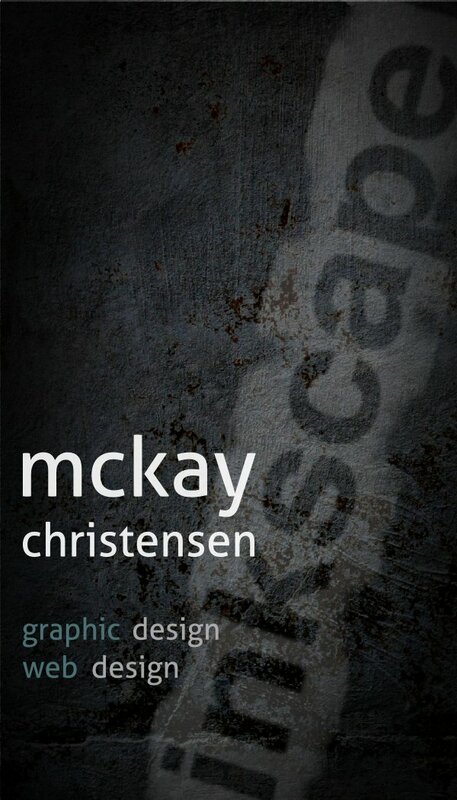 McKay, I think it's a great tutorial! Your site by the way a super cool. Thanks for you compliment. Glad you like the site. It would be pretty interesting to be able to develop sites in SVG for sure! Great tutorial. I too am having a love affair with inkscape at the moment. "Unfortunately [unless someone knows a better way] you have to do this one letter at a time)"
Take the letters, convert to path, ungroup them, then make an union of them. You'll get one path with all of your letters. You can then apply the difference of all the letters in one step. Nice article, I always wondered how people make this kind of business cards. Now I only need to learn an easy way to make my own grunges and I will be set. You are amazing ofaurax! Thanks for the tip! I just tried it. Who knew it was a simple as making a union (I always tried grouping). That tip is a lifesaver! how do u "do a radial gradient". sorry as i am brand new to inkscape. that instruction is pretty vague. great tutorial by the way. Thanks for the comment benny. I added a short comment for that step on how to find the radial gradient icon. I think I have a lot of vague instructions in some of my earlier tutorials; I am working on including more pictures to hopefully make things easier. I appreciate the comments, they certainly help! hi thanks for the tutorial. I have one question how to create a lay out of, say 10 cards per sheet and put cutting marks so you can cut your self later. 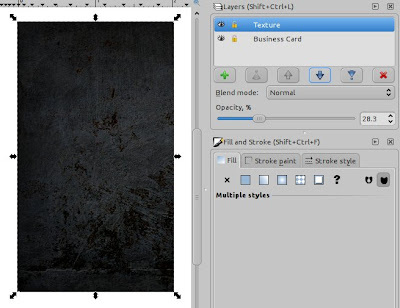 mrmshifan, there are a bunch of different ways to print business cards. If you have it done professionally, use the specifications that the company gives you for printing. Usually they just have you upload your image. If you want to print yourself, you should probably use pre-perforated blank business cards that you can print. When you buy the business card pack, they will have the dimensions you need and you can arrange your card images to those specifications. If you want to do it with your own card stock paper, you can just copy and paste your business card however you want (make sure everything is grouped before you do this (Ctrl+G)). To make cutting lines, use the Bezier Curves tool and change the stroke style to be a dotted line. I think the best option to do it yourself would to buy the blank business cards. How were you thinking of printing the cards? Maybe I could help more if I knew exactly what you are trying to do. Other than that, amazing tutorial! As for the grunge in text, what layer mode do you have it set to? If it is not set to screen mode, it will not work. As for the last step, I just copied the entire card and rotated it (though I am not exactly sure if that is what you are asking). I still can't figure out the last few steps. I am somewhat new to inkscape but have a decent handle on it. Just not sure what layer everything is supposed to be on. For cutting the letters out of the rectangle, the rectangle had to be on a different layer from the text (which you didn't mention), so now I'm not sure if I have everything on the right layer...I can't get the border to show up properly. When I set the layer to screen mode it just shows up below all the other layers. Fantastic - Thanks so much. I like the way you made it,its great. No need to make a union or convert to path unless you have a specific reason for doing so. After you get your text in place just shift+click on the text and the rectangle. And then Path > Difference. That will give you the effect you want in less steps. Like a few of the others, I can't replicate this procedure. I'm great up to applying the Inkblot filter. What layer is the freehand outline supposed to be on? The text layer? A separate layer? I am completely unable to make the text box look as if it has faded fringe edges... 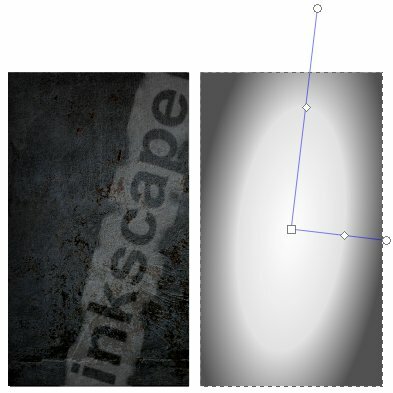 It's crazy that I could probably put together a tutorial doing this using pixelmator and masks but I can't even follow this easy Inkscape tutorial... It's probably because I am using a Mac. Extremely frustrating. Great tutorial! Im having some trouble with the 'Now clip the section' part. Could you please give me more details. nice tutorial but I got lost when you said free draw the outline..using what? and how do you make it that thick? I realize this is a year late, but you can use the Freehand draw tool (F6) to draw an outline then set the Stroke style to a relatively thick Width to get that outline. To "clip the section", you can simply select the background (texture) object, then select the inkblot object, and then press CTRL - * (or go to menu Path > Intersection). That will clip the edges of the inkblot so it fits in the box. Hey ugotsta. I really appreciate your comment! Thanks for helping answer some questions (I should be better at this). Also, I checked out your websites and enjoyed looking through them. You seem like a really cool guy! Can you possibly give the settings for the "inkbolt" filter? It's interesting that a six year old post is still getting this kind of responses. 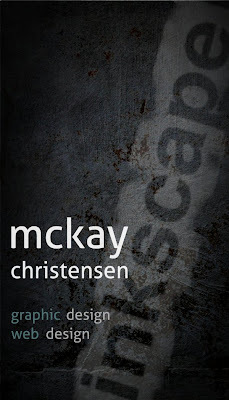 McKay, if you happen to see this, please remember that you can't be too detailed in a tutorial about inkscape, even for those of us that know the program well. Since you're mainly dealing with artistic techniques, it's VERY important to at least take a SCREENSHOT of parameters so filters, extensions etc. can be duplicated if you skimp on step-by-step details in a given section. That being said, thank you for bringing more attention to an awesome program. Good comment. You are right; a detailed screenshot is often much more helpful than the most vivid description. I now prefer to do gif screencasts of tutorials. Maybe I should go back and redo a few Inkscape tutorials in this way.